One of the ways we describe the study of science to small children is by saying we are “learning about the world and how it works.” But with a definition that broad it can sometimes be overwhelming to think of ideas for kindergarten science activities. Especially when you need those activities to entertain and educate a class of excited five-year-olds. Read on to see our collection of practical, hands-on activities that are fun, messy and manage to teach essential scientific concepts all at the same time! Scraps of different cloth; velvet, wool, cotton, leather. Metal objects, wooden spoons/toys, pieces of aluminum foil, any school objects with an interesting tactile feel. ‘Feely bag’—a large bag that can be almost sealed with drawstring. 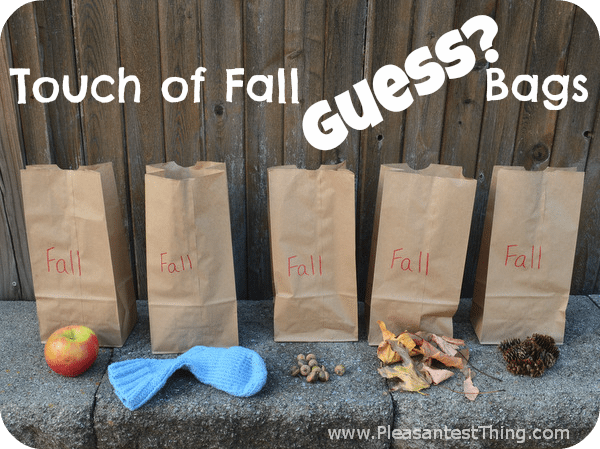 Place a variety of objects into the feely bag and invite students to place their hands inside and feel and describe the different textures. Can they guess what is inside? Describing and grouping materials by texture and properties. A selection of jars filled with water, food coloring, sugar, spoons. Invite students to put different amounts of sugar into each jar and then add a drop of food coloring and observe what happens. Have them stir until all the sugar is dissolved, then using the pipettes have them drop one color solution into another—what happens? 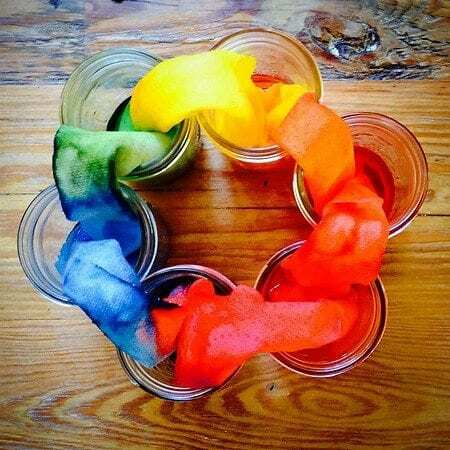 If students can add their colors patiently they may be able to create layers, but even if they don’t they will still be learning about solutions and mixtures. Adding sugar increases the density of the solution. A variety of natural objects collected from the recess yard; leaves, small branches, twigs and sticks, paint. Have students search for natural objects in nature and bring them into the classroom to closely observe and paint. Discuss the natural colors and features of these objects. Closely observing natural phenomena, looking for signs of life and growth, using senses to experience natural materials. A variety of objects to test that can get wet—toys, utensils, tools. A water tray, a list of the items and a check mark sheet. 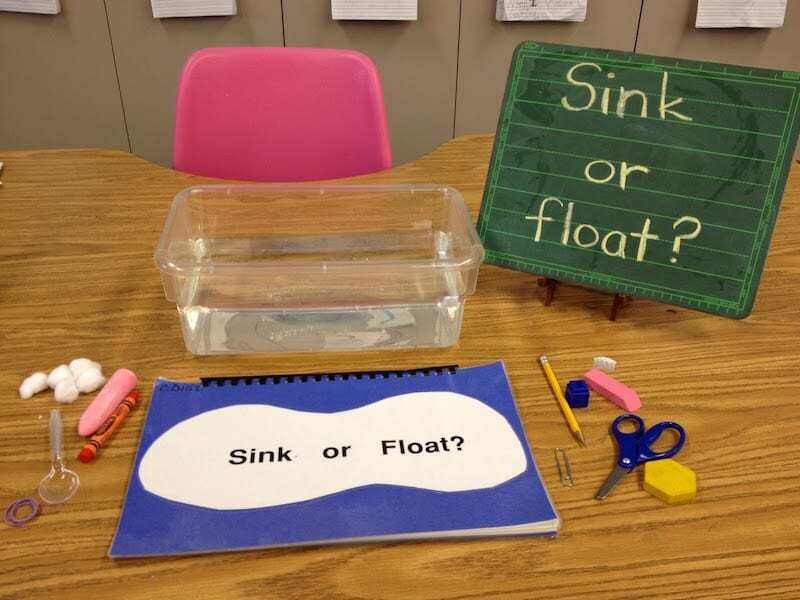 Invite students to hypothesize which items they think will float and which will sink in the water. Complete the check mark sheet with their predictions. Then test each one choosing students to volunteer to put the item gently in the water. Record the results. Learning about floating and sinking, denser objects sink. Small containers that seal tight. Cotton balls and a variety of different scents including perfume, cinnamon, vanilla, almond, ginger, curry, lemon, etc. Double up so that every scent is in two canisters. 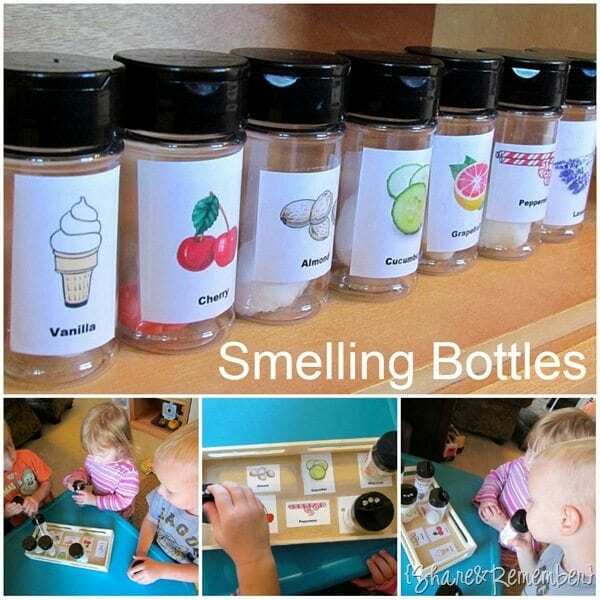 Ask students to use their sense of smell to try and guess what is inside each container. See if they can match up their scent with the matching one in their friend’s canister. We use our sense of smell to tell us more about the world. Making observations and drawing conclusions. Discuss how students are using their senses to explore this material, can they predict if it will hold its shape? Can it be squashed? Does it bounce back? Coarse toilet paper (the type you typically get in schools!) A water bottle, wax paper, kitchen strainer, sponges. Explain to the class that we are going to make our own paper. Instruct students to tear the toilet tissue and place it in the water bottle of water before replacing the lid and shaking it vigorously. Have them closely observe how the tissue turns to pulp. 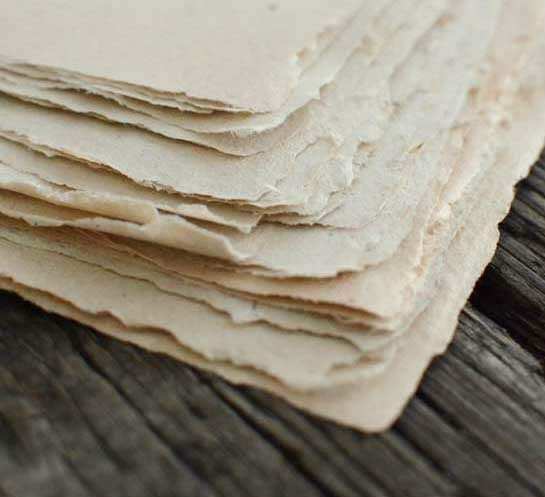 Strain it through to remove excess water, lay it flat and cover in wax paper and leave to dry. You may need to repeat the steps to remove all excess water. After it dries you will be able to use it as paper. Practical demonstration of solid to liquid states and how materials can be repurposed. A selection of different metal objects and some aluminum items, various containers, strong magnets. 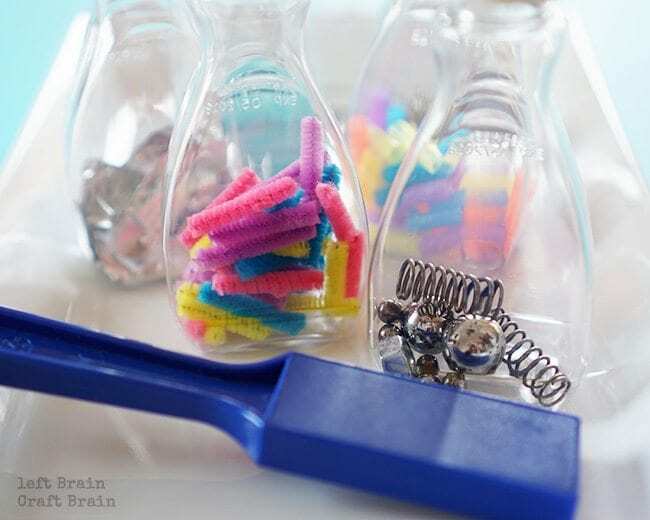 Dump out all the metal objects onto the tables and ask students to help you to “clean up” by using the magnets to pick up different objects and sort them into containers. Students will learn which objects are attracted by a magnet and which are not. They will also practice skills of classifying and sorting. 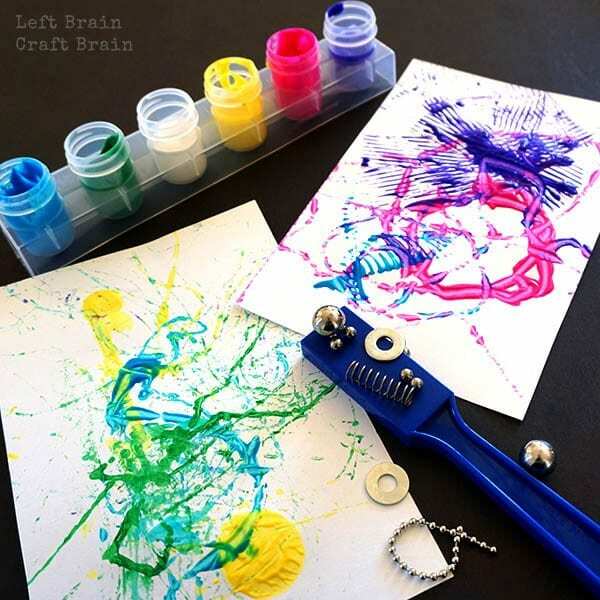 Two strong magnets, washers, nuts, bolts, and other metal objects, cotton thread, easel or cardboard box, liquid tempera paint in multiple colors, tape, paper. Allow students to experiment with magnets by completing the previous activity, then tell them we are going to create art with magnets. Create a raised angled painting surface on an easel or using a cardboard box. Have students dip metal objects, which have a string tied to them into the paint. Tape the object on top of the paper on the easel and have students move the magnet around behind the easel to create artwork. Learning how magnets can be used to move objects. Read the story to the class and tell them we are going to grow our own bean plants. Show students how to plant the seeds in a moist paper towel in the yogurt pot. Discuss what might happen to the seeds. Observe over the next few days and weeks, remembering to water them a little. Students will consider what living things need to grown and will observe a bean seed begin to sprout. Small paper clips, tray of water. Ask students to predict what will happen if you put paperclips into a tray of water. Drop a few in and show that they sink, ask them is there any way we could get them to float? 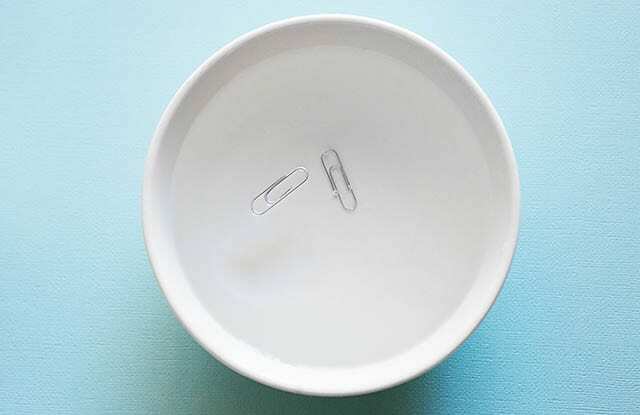 Try again but place the paperclip very carefully on the surface of the water and have students observe it floating, and not breaking the surface. Challenge students to see how many paperclips they can get to float. 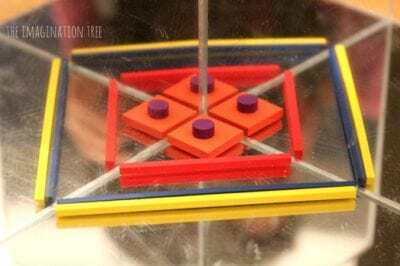 The surface tension will allow the paperclips to sit on top of the water until the weight becomes too much to bear. Test tubes or cups, thin strips of kitchen paper towels, water, and food coloring. Fill the test tubes or cups with different colored water and tell the class we are going to put two ends of the kitchen paper towels into each container of water, creating a chain. Ask the students to predict what might happen. Slowly the color is absorbed into the wet paper towel and travels up to meet with the next color. Students learn about absorbency and color mixing. 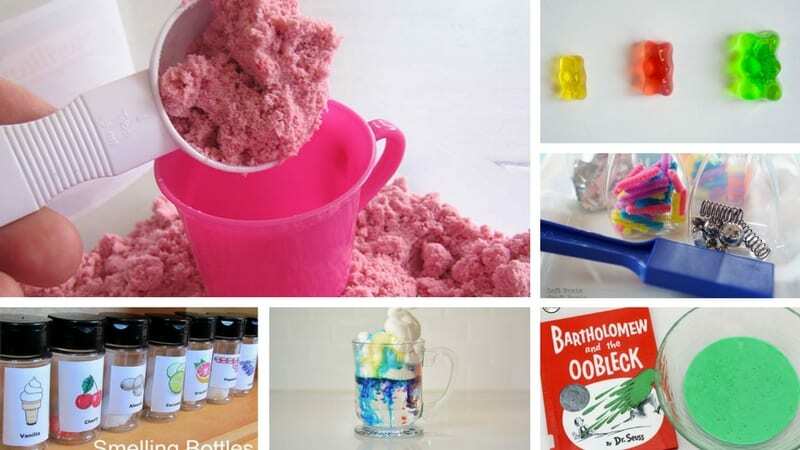 Empty soda bottle, containers, large tray to collect the mess, two tablespoons warm water, one teaspoon yeast, 1/2 cup 6% hydrogen peroxide, drops food coloring and some dish soap. Mix the yeast and warm water in one container, in the pop bottle mix all the other ingredients. Pour the yeast mixture in and get ready for an eruption! Students will be able to witness a chemical reaction. See if students notice that the bottle feels warm, this is an exothermic reaction. 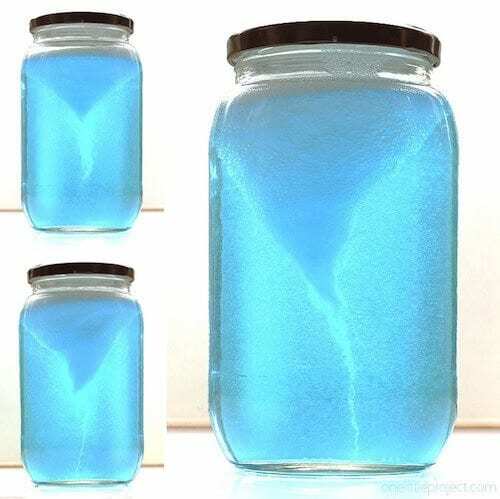 A glass jar, water, dish soap, vinegar, blue food coloring. Fill the jars about 3/4 full with water and add in a few drops of blue food dye. Add a teaspoon of both dish soap and vinegar and then put the lid on. 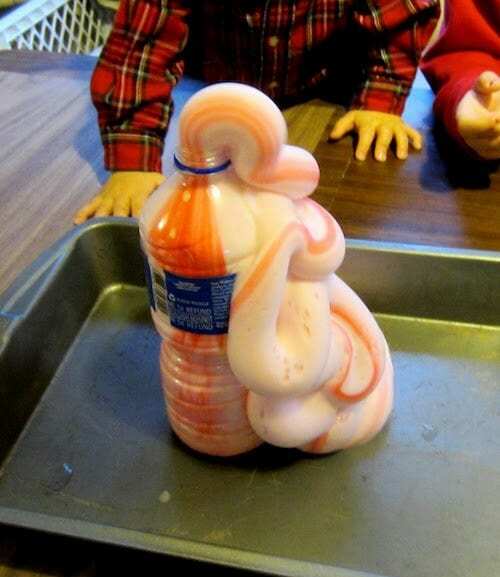 Show the students how to swirl the jar to create a tornado. Use this as a jumping off point to discuss different types of weather and destructive forces of nature. Clear glasses, vases, or bowls, food coloring, shaving cream, small containers, water, an eye dropper or pipette. 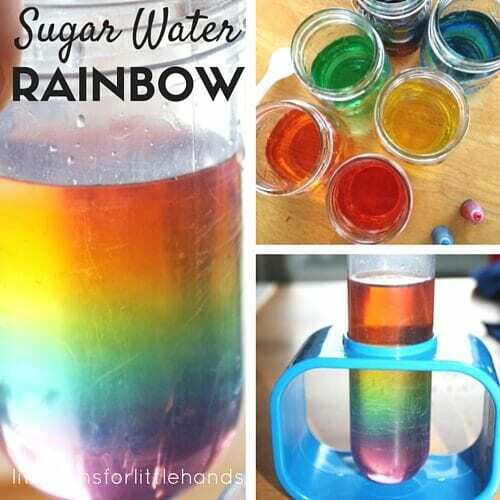 Prepare small containers of water and different color food coloring so that you have a rainbow of colors. Fill your glass container with water and top it with shaving cream. Ask students to use the eyedropper to drop the colored water onto the ‘clouds’ and observe as it falls through as rain. You can talk about color mixing, rain, the water cycle and discuss the student’s predictions for what would happen. Two small bowls, water, salt, and gummy bears. Have the students observe and measure the gummy bears and then predict what will happen if we soak them in water. Dissolve salt in hot water (exercise caution with students and hot water.) You should have three experiments; one gummy bear in salt water solution, one in plain water and one dry. Let the water cool down and add the gummy bears, you’ll need to leave them for several hours or overnight. 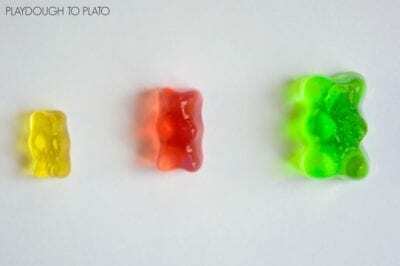 Keep other gummy bears as the control group, explain the fundamentals of fair testing to the class. This experiment demonstrates osmosis—the movement of a solvent from one of lower concentration to higher concentration. 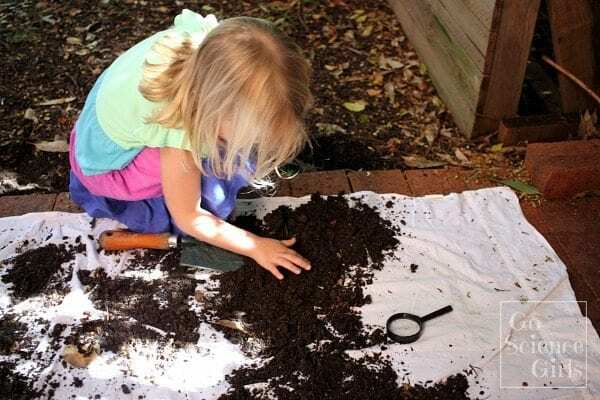 Take your class on a nature walk and dig up a patch of soil for students to examine back in the class. Try to get a good cross-section of dark soil, with insects, roots or worms in it. Back in the class, allow students time to carefully inspect the soil with their magnifying glasses. What can they find? Students will use their observation skills to search for interesting features of the soil including the presence of insects and worms. Light corn syrup, water, dish soap, containers, spoon for mixing, straws. Mix all the ingredients together and encourage students to blow into the mixture to make bubbles. 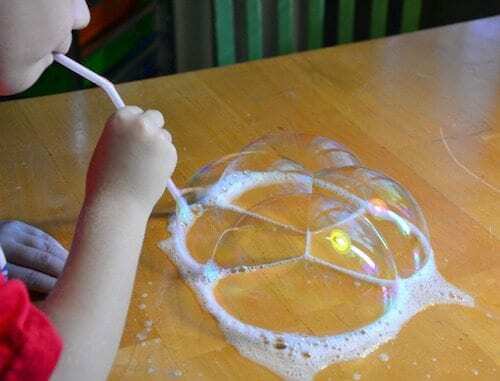 Challenge students to try to make the biggest and smallest bubbles, to be able to pick bubbles up and to try to get small objects inside a bubble. You can discuss the air inside bubbles and how they fit together. A collection of mirrors, a prism, and different small objects. 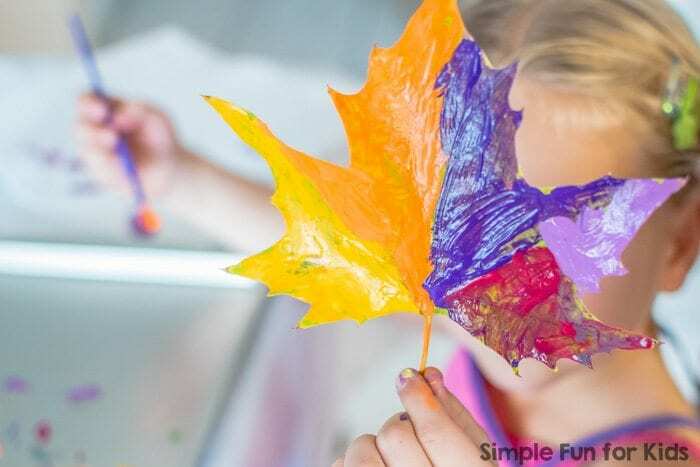 Allow students to experiment and play with a collection of different sized mirrors and objects, can they hide one half of their object and make it complete with the reflection? Can they make a rainbow of colors? You can begin to talk about light, reflections, refraction and the way the human eye works. A two-pound box of cornstarch, two cups of water. 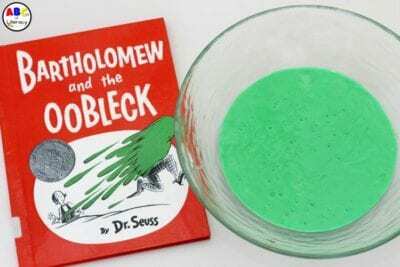 Make the Oobleck by mixing the two ingredients together, you may need to add more water to get the perfect consistency, you can also add food coloring if you want to make it look more interesting. 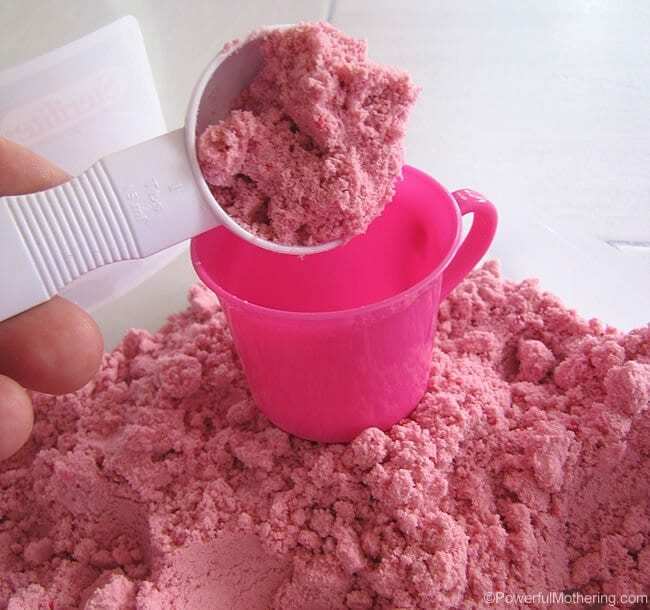 Allow students to play with the mixture as an alternative to sand or playdough. 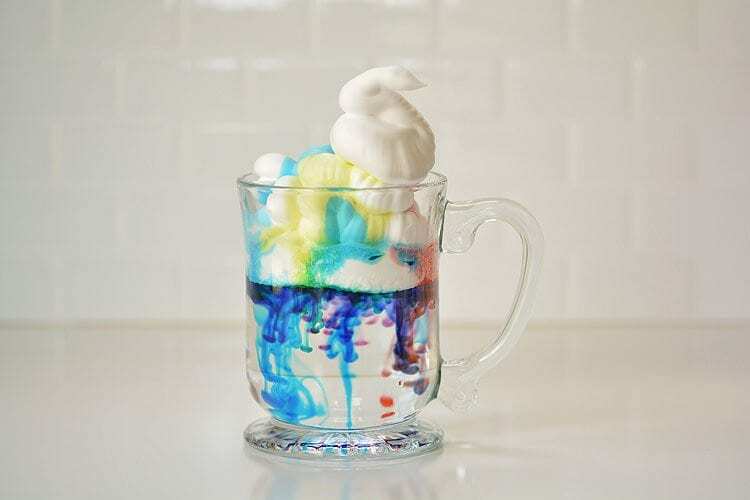 Oobleck is a non-Newtonian fluid, it seems to break the rules of the three states, by having qualities of a solid but being able to take the shape of a container it is poured into. What are your favorite kindergarten science activities? We’d love to add to this list. Please share your ideas in the comments. Fiona Tapp is a freelance writer after a 13-year career as a teacher and school administrator. Her work has been featured by The Washington Post, Parents, Today's Parent and many others. She is an expert in the field of Pedagogy and holds a Master’s degree in Education.